Hillary posted this message on Facebook and also Tweeted it. Thanks and congratulations to all our Onward Together partners for two years of hard work that paid off in a big way this week. These organizations are recruiting a new Democratic bench, defending rights, and organizing locally to fight for progressive policies that improve people’s lives. I’m so proud. The Arena, The Collective PAC, Emerge America, and Run for Something have collectively recruited, trained, and supported hundreds of candidates up and down the ballot. They are building a Democratic bench, candidate by candidate and race by race. Latino Victory and Voto Latino have worked to mobilize Latino voters and elect progressive Latino candidates, sending dozens of amazing candidates to office up and down the ballot. Color Of Change and National Domestic Workers Alliance have spent the last two years waging campaigns to defend civil rights against the administration’s attacks and building powerful communities for change. iVote has defended democracy itself, fighting hard against voter suppression and for secretaries of state and local measures that will make it easier for every American to exercise their right to vote. Alliance for Youth Action, Indivisible Guide, and Swing Left set about organizing locally to mobilize young people and win back Congress. I truly don’t think we would have won back the House without them. Thank you all for your service to your country. Take a well-deserved rest, and then let’s keep going. As we put the 2018 mid-terms to bed, Hillary took to social media to deliver her message on the results. Here is what she posted on Facebook. The same comments are also posted at her Twitter account. Congratulations to all the voters, volunteers, organizers, and candidates who voted last night to put a powerful check on this administration and start building a better future for everyone in our country. It was a historic night in so many ways: For the first time ever, over 100 women were elected to Congress—including a record number of women of color. Sharice Davids and Deb Haaland will be the first Native American women to ever serve in Congress. Rashida Tlaib and Ilhan Omar will be the first Muslim women to serve. Ayanna Pressley and Jahana Hayes will be the first black women to represent Massachusetts and Connecticut in Congress, respectively. Tish James will be the first black woman to be New York’s attorney general. Janet Mills will be the first woman governor of Maine. Cindy Axne and Abby Finkenauer will be the first women to represent Iowa in the House. Finkenauer and Alexandria Ocasio-Cortez are the youngest women to be elected to Congress ever. The inspiring Lucy McBath became an activist for common-sense gun reform after her son, Jordan, was shot and killed. This cycle, she ran for Congress in a heavily Republican district in Georgia—and it looks likely she will win. These historic firsts are important not just because representation matters (and it does), but because these extraordinary women will bring perspectives that have been absent from our policy debates for far too long. There were important wins for rights, too, including Floridians voting to restore the voting rights of 1 million of their fellow citizens and Nevada approving automatic voter registration. None of these victories would have been possible if people had simply given up after the heartbreak of 2016. They belong to all the volunteers and candidates who worked impossible hours, logged hundreds of miles, and knocked on countless doors. Win or lose, what you’ve built will continue long after last night. Our work is far from over. As we celebrate our wins, let’s be clear about what’s ahead. This is a crucial step in a long road to repairing our democracy. It’ll take all of us to do it. What a start this is. On Facebook Hillary shared the Vote with me app. It is a reminder for friends in swing districts. She also tweeted the following. When you wake up Wednesday morning, will you know that you've done all you could have? Raul has a plan for #ElectionDay. However and wherever you choose to GOTV this weekend, thank you for getting in there! We'll win back our democracy if we work for it. 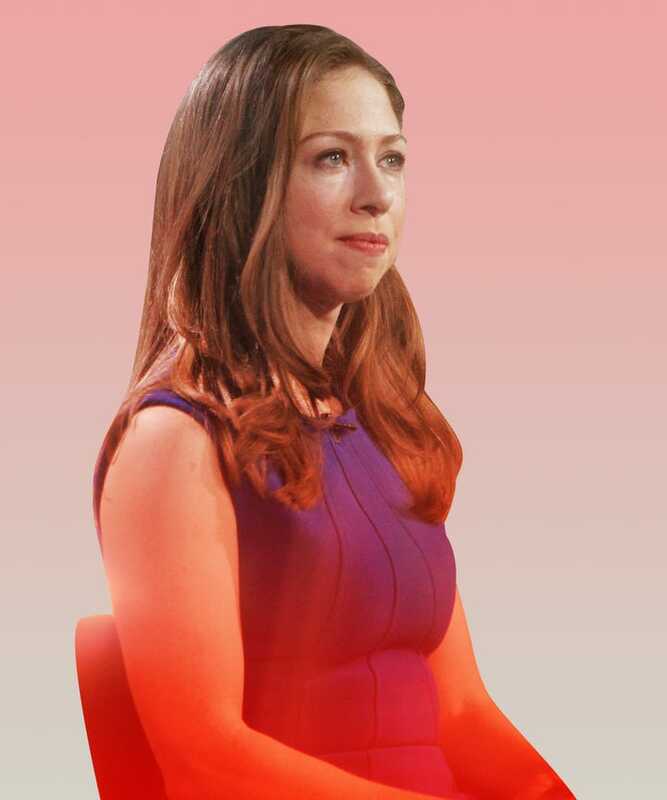 Chelsea has penned an eloquent op-ed on recent events. I’m with her! Over the past two years, our country has been engaged in an ongoing conversation about “civility.” From the Women’s March to NFL players who kneel in protest of racial inequality and injustice, from people interrupting Trump administration officials out to dinner to protestors interrupting Supreme Court nomination hearings to register their dissent, various pundits and leaders across the political spectrum have expressed distaste for what they see as a rise in tactics that are uncivil, unproductive, and anti-democratic. I’ve watched this debate unfold with frustration the entire time because it seems very clear to me that calling out bigotry and standing up for human rights — and confronting leaders who promote and exploit racism, xenophobia, transphobia, sexism, anti-Semitism either in their rhetoric or their policies or both — is the very definition of civil behavior. But in the past week the conversation reached an entirely new low. People, largely Republican commentators equated confronting public servants in restaurants to bombs being sent to my parents’ home — as if explosive material and threats of violence are at all equivalent to demands for answers, accountability, and a recognition of shared humanity. These demands may be coming from righteously angry people, and they may make some uncomfortable, but in no way are these peaceful protests, even if yelled out, equivalent to actual threats and acts of violence. The Hill published Hillary’s endorsements in the gubernatorial races. Hillary Clinton Monday urged her supporters to vote for a number of Democratic gubernatorial candidates campaigning in states currently run by Republican governors. In her announcement, the 2016 Democratic presidential nominee touted the importance of securing offices at the state level during this year’s midterms and highlighted five gubernatorial contenders she’s backing. Run for Something shared this list of endorsements from Hillary. Handy reference. As early voting locations open across the country, Onward Together announces Secretary Clinton’s endorsement of 19 state and local candidates in the Run for Something program. These candidates were selected for their inspiring commitments to improving their communities and bringing diversity and compassion to local office. Collectively, they have knocked on hundreds of thousands of doors and connected with voters who share our progressive values. “Our candidates represent the change our country needs right now — thoughtful, compassionate, community-based leadership,” said Amanda Litman, co founder of Run for Something. “Their stories serve as inspiration for all of us to get out and make a difference.